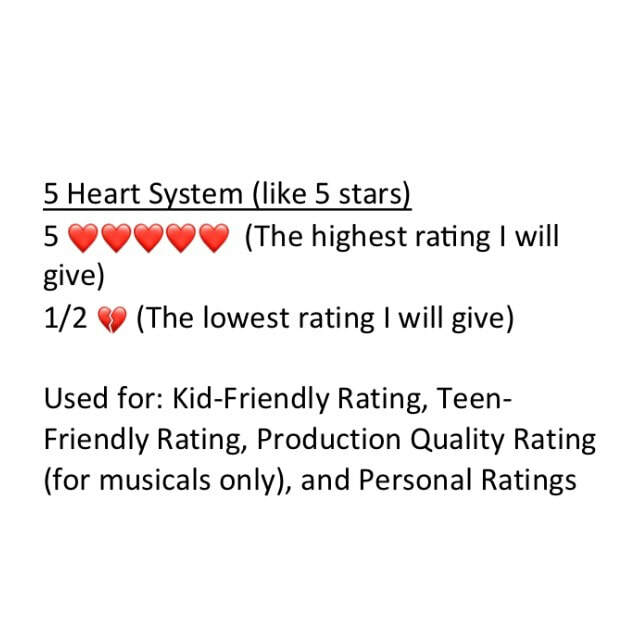 For book reviews, I am currently only using the 5 Hearts system. This is for two reasons: 1) The majority of the books I review are Christian Non-Fiction, and therefore the categories I use in Color-Coded System would be irrelevant [except for possibly sexual content, which I am careful to examine in my reviews]. 2) I try to keep my book reviews short and to the point, so the Color-Coded System seems excessive. If and when I get into reviewing more fiction books, especially secular ones, I may consider using the Color-Coded System for those books. But for now, I do not think it is necessary. ​ - Singles-Friendly Rating - based on how appropriate or useful this book would be for singles. This will be specifically for books that deal with relationships, marriage, and/or sexuality. ​Other categories, such as a Pre-Teen Rating or a Kid-Friendly rating may be added at my discretion. For both musical and movie reviews, I like to be much more detailed than my book reviews. That is the main reason that I post them so much less frequently. During the course of these reviews, I try to identity 3 or 4 of the main themes of the given story, whether they are positive or negative. Then I break down "Other Positive Content" and "Other Negative Content", both of which may have several sub-categories. 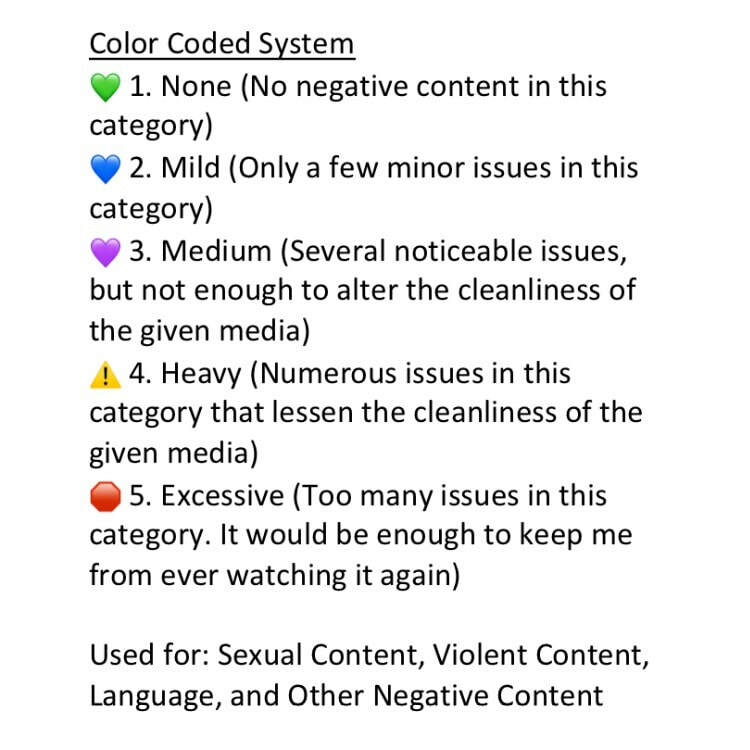 "Other Negative Content" is usually where I will detail the specific issues that will be rated using the Color-Coded system, like sexual content or language. After I give my final takeaways, I will list my given ratings. - Other Negative Content (which will usually be indicated with the given rating). Other categories may be added at my discretion. It is never my intention to make anyone upset or offended by my ratings. But it is my intention to be honest, fair, and biblically grounded, which will hopefully provide you with a tool for discernment. We may disagree about one media and enjoy the next together. Even if we don't agree, I believe we must do our best to demonstrate Christ's love in our responses. If you have any questions about my ratings, please let me know.